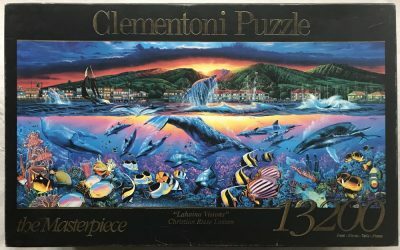 Heye manufactured this beautiful and interesting puzzle in 2003. The title is Napoleon’s Winter Games, by French cartoonist Jean-Jacques Loup. It is becoming more and more difficult to find a copy in new condition. The puzzle is like NEW, with all the pieces SEALED inside the original plastic bag. 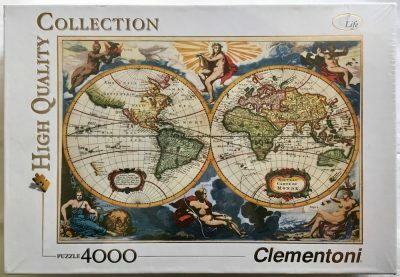 The box is in very good condition, except for some minor shelf wear. The poster is in very good condition as well. 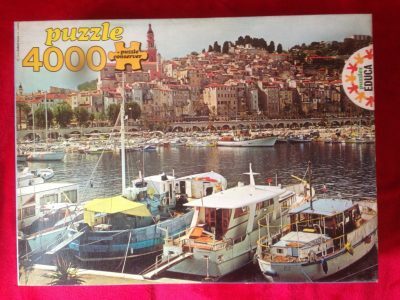 Heye has produced some excellent cartoon puzzles that are very difficult to find now, like the 4000 pieces version of Trafalgar, by Michael Ryba. 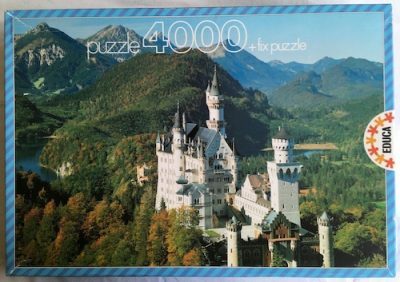 Puzzle size: 96 x 136 cm, 37 13/16 x 53 9/16 in. Box size: 48.5 x 27 x 14.5 cm.